A country whose history dates back over 5,000 years is never going to be a boring place to visit. And so it is that Peru, one of South America’s most visited countries, has gained a reputation for being one of the best all-rounders and most interesting countries in the entire continent. Sure, Peru has Machu Picchu, perhaps the most famous UNESCO-listed archaeological site on this side of the Atlantic, but it also has so much more. 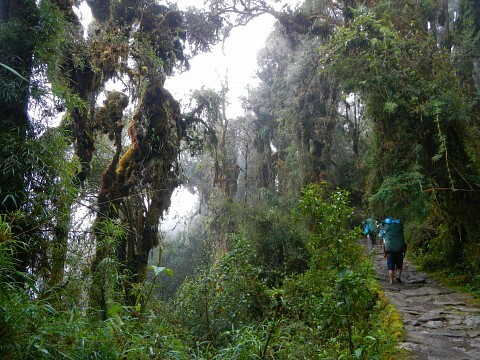 It has incredibly stunning cities, brimming with colonial and ancient architecture, a multitude of ruins from the most famous civilizations who ever lived, like the Incas, Nazcas, and Chimus; it boasts a magnificent chunk of the great Andes Mountain range, a healthy slice of Amazon Rainforest and one of the best cuisines in the region. 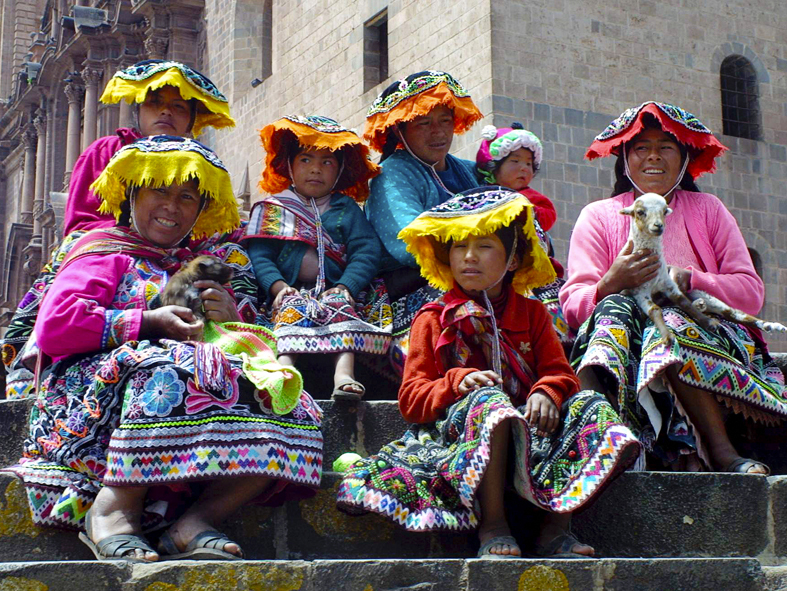 The former seat of the mighty Inca Empire has much to offer visitors of all ages and tastes, and that is, more than anything else, what makes it such an appealing place to visit. Ancient civilizations in modern-day Peru were both ingenious and ahead of their times in many ways. They were farming from about 2,500 BC and making quite elaborate tools by 1,800 BC. However, it’s curious to note that none of the civilizations who ruled this land, from the Chimu to the Moche and Incas, ever invented any kind of writing. This is quite astonishing, considering that on the other side of the planet, the Ancient Egyptians had been already documenting their history, in hieroglyphics, for almost 2,000 years. Writing was introduced here by the Spaniards who landed on the country’s eastern shores in the mid-16th century. By then, the rule of the Incas was at its peak and, and although the empire turned out to be the largest in all of South America, it also turned out to be one of the shortest lived. The Incas had no defenses for the powerful and armed-to-the-brim conquistadors who, initially mistaken for gods arising from the seas, turned around and massacred all indigenous people they came across. The Incas had never seen horses, or soldiers with steel coat of arms and steel swords, so swiftly became easy targets. Those who were not exterminated were killed by smallpox and other European-brought diseases for which they had no immunity. The much more evolved Spaniards wasted no time in realizing what an incredible minefield Peru was and took to mining for silver almost immediately. Locals were forced into slave labor in numerous mines, and thus began an industry which is still, nowadays, providing a great majority of the country’s wealth. After Cusco was ransacked, the capital of the new Spanish viceroy was settled in Lima, and despite numerous attempts at Incan uprising, the definite blow to the ancient empire was dealt when the last king, Manco Inca Yupanqui , was unceremoniously beheaded in 1572. 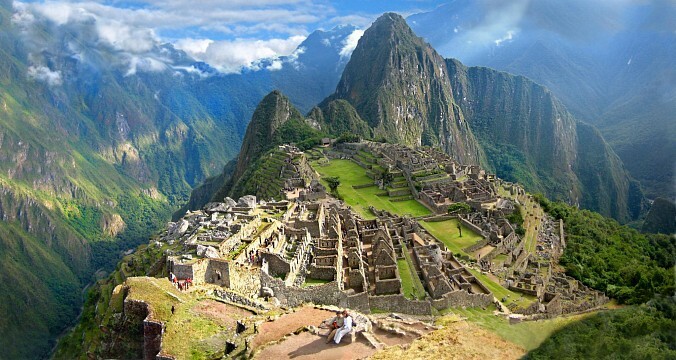 What followed for Peru were almost three centuries of peace and prosperity. Even when the rest of the continent was swept up by independence fever, Peru remained steadfast in its royalist sentiments, gaining independence from Spain only after Bolivian and Argentinian revolutionaries joined their cause. In 1824 Peru consolidated its independence, yet, was marred by decades of political and economic instability as different fractions of the military fought over power. Political instability has plagued this country for the last two centuries, with ongoing struggles between insurgents and government forces resulting in a multitude of massacres, some as recent as the late 1990s. The most famous citadel of the ancient Inca Empire and most famous archaeological site in the whole continent, Machu Picchu is the primary reason most people ever travel to Peru in the first place. The Inca trail to Machu Picchu is a once-in-a-lifetime hike which takes you from the small town of Ollantaytambo all the way to the Sung Gate at Machu Picchu. The trail takes four days to complete, is over original Inca paths, and takes you past some of the most incredible ruins and landscapes in the Andes. 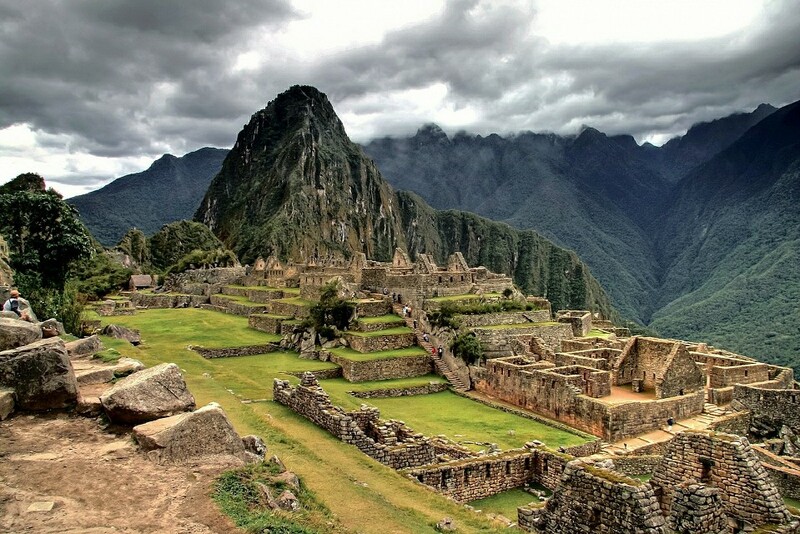 Those short on time can visit Machu Picchu by train, on a day trip from Cusco. The former capital city of the Incas is an absolute splendor of colonial architecture, ancient ruins, and an incredible mountainous landscape. The base town from where trips to Machu Picchu are organized, Cusco is a high altitude city brimming with an immense amount of historical and cultural attractions. To take in all the city has to offer, and allow yourself to acclimatize at elevated heights, we suggest you plan to spend at least four or five days here before tackling the Inca Trail. Take a day trip to the Sacred Valley and striking Saksaywaman ruins, visit the breathtaking Cusco Cathedral, and spend hours checking out the shops around Plaza de Armas. This incredible canyon is the third most-visited site in the country, and considering what a pain it is to reach it says a lot about its status and revered beauty. Colca is over 3,270m deep, making it twice as deep as Grand Canyon and second in the world after nearby Cotahuasi Canyon. The views from its rim are simply spectacular and it is here that you can see the majestic Andean condor, w-vicuna, alpaca and a multitude of agricultural terraces which date back to Inca times. Colca Canyon is only 160km from Arequipa on the Andean ridge, yet due to shocking road conditions, the bus trip here can take upwards of six hours, although the views of extinct volcanoes make the trip very much bearable. A 2-day/1 night trip from Arequipa is the most popular option most people take. When it comes to sheer looks, there are very few cities in the world that could match the charm of Arequipa, La Ciudad Blanca or White City, as it is locally known, boasts a UNESCO Historic Center and sits on the base of no less than three, often-times snow-capped volcanoes. This is one of the most beautiful cities you will ever visit, and here you’ll find amazing churches, museums, restaurants and markets to keep you busy for days on end. Arequipa is home to Peru’s best museums so do plan to spend a few days here if you wish to take in all its incredible attractions. 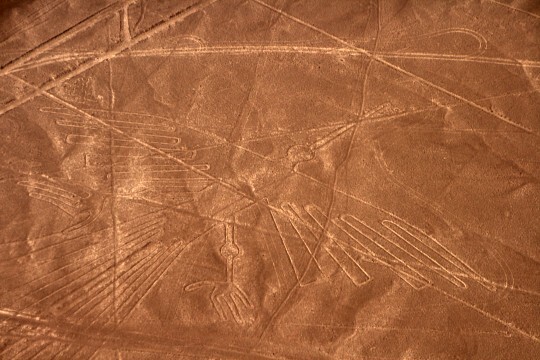 No one really knows how the Nazca people managed to draw pictures in astronomical size, in the heart of the blackened desert of southern Peru. But that’s exactly what they did, back in 500 AD. The geoglyphs of Nazca, which depict everything from condors to monkeys, spiders, hummingbirds and more, with sizes exceeding 656 feet in length, are one of the world’s most precious and mysterious treasure, and were included in the UNESCO Heritage List in 1994. Although the lines were ‘discovered’ in the 19th century, they were thought to be simple trails and no one realized what they actually were until a light plane flew over the area by chance in 1939. The lines have been studied extensively yet no one is any wiser as to the methodology or reasoning of the Nazca people for making them in the first place. Taking a half hour long flight in a light plane over the Nazca lines and admiring this incredible feat. of ancient artistry is one of the most underrated and breathtaking things you could ever hope to do in Peru. The oasis in the heart of the Peruvian desert is a fun-lover’s paradise, with a wealth of guesthouses offering the fantastic chance to go buggy riding, sand-boarding, and even camping among an incredibly striking multitude of desert sand dunes. The town is set on the shores of a large lagoon, framed by palm trees and surrounded on all sides by dreamy and vertiginous sand-dunes. Huacachina is about 300km south of Lima and is a splendid place in which to spend a few relaxing days. The ethereal landscape, and relaxing vibe, makes it an ideal stop over on the way back to the capital from a mountainous escapade. The capital of the country, Lima, is not exactly anything one would rave about, with overcrowding and excessive rubbish making it a less than ideal holiday destination. Yet it’s still an invaluable springboard to reach every corner of Peru and boasts quite a few spectacular examples of colonial architecture. This city of almost 8 million people is huge and wide spread, making it seem more like a collection of towns rather than one, homogeneous city. With over 43 districts to choose form, it may be overwhelming to find a spot in which to base yourself upon arrival, but do note that the great majority of visitors tend to stay around Central Lima, where the historic center and its beautiful plazas are found, as well as Miraflores, an upmarket seaside hub renowned for its trendy shops and wicked nightlife. Chan-Chan is the largest, pre-colonial citadel in all of South America and found just a few kilometers out of Trujillo, a small but lovely town about 500km north of Lima, which actually boasts quite a few more ruins (Chimu and Moche in particular) outside of its perimeter. UNESCO-listed Chan Chan is a Chimu archaeological site which dates back at least 1,500 years and comprises about 10 walled citadels within a radius of six square kilometers. Nestled deep in the coastal desert of northern Peru (the least visited but in certain ways much more interesting part of the country), Chan Chan is one of half a dozen prominent sites scattered along the road between Trujillo and Huanchaco. At the height of its prosperity this was the largest city in both Americas and was, by far, the most opulently decorated. The intricately carved walls and infinite plazas, temples and halls were all made of mud brick, and a sophisticated irrigation system, in what is essential the driest place on Earth, ensured the survival of its inhabitants over the centuries. The northern coastal town of Mancora is one of Peru’s hidden secrets, although surfing aficionados and budget travelers who want nothing more than bum out on a beach for a while, have known about the lovely beaches here for decades. Now, just to put things in perspective, Mancora is certainly no Ipanema, but on a stretch of incredibly arid coastline plagued by a permanent fog (known as garua) this is really as good as the eastern South American coast can get. The surf here is actually world-class, and draws professional and amateur athletes all year round. If that’s not enough, the town is chilled-out to perfection, boasts a plethora of cheap guesthouses and arguably the best prawn ceviche in the country. Who needs Ipanema anyway? This wonderful mountain town in northern Peru dates back to pre-Inca times and is a treasure trove of archaeological sites, combined with absolutely stunning nature. 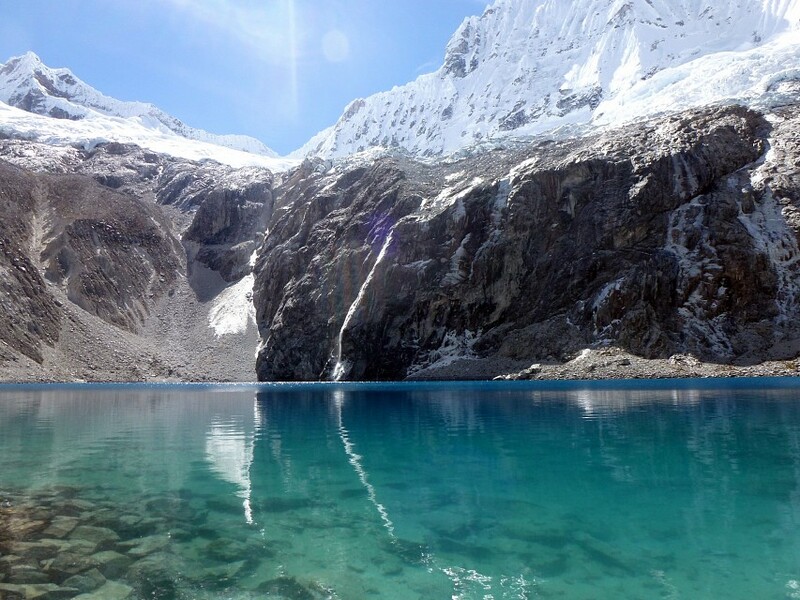 Close by is where you’ll find the breathtaking Huascaran National Park, a breathtaking corner of the Andes brimming with glistening lakes, snow-capped peaks and stunning valleys. 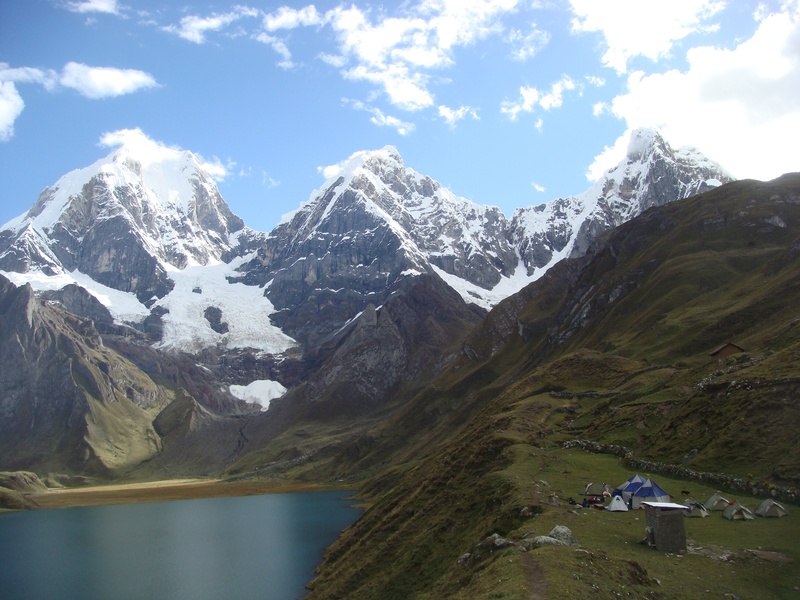 Joining a hiking trip from Huaraz to famed Laguna 69 is reason enough to explore this northern part of Peru. 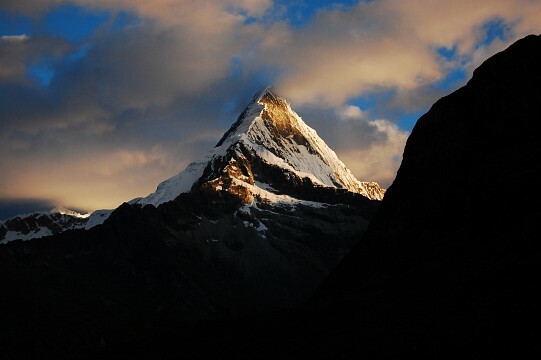 The Huayhuash Mountain Range is often considered the most sensational in all of South America and, according to experienced alpinists, home to the best high-altitude trekking on the planet. This 20km long section of the Andes boasts over 20 vertiginous peaks, breathtaking glaciers, deep blue lakes and just a smattering of indigenous villages. Serious hikers and mountaineers tend to choose Huayhuash over Huascaran due to the much more challenging hiking on offer here. Relatively close to Huaraz (only 100kms or so) is where you'll reach the starting point of the famous Huayhuash and Alpine Circuits, both considered much more arduous than the Inca Trail to Machu Picchu, as hikers never descend below 13,123 feet in altitude for the duration of their journey. The Alpine Circuit is particularly tricky, with glacier crossings and rock climbing needed to complete the loop. 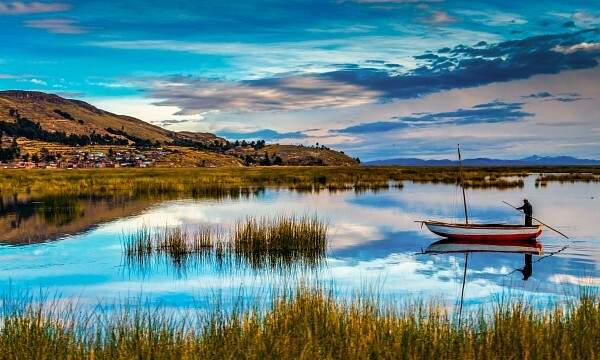 At first glance, the Peruvian town on the shores of Lake Titicaca may come across as a bit of a dump, but don’t let first impressions fool you. This small, perhaps un-charming town is a simple port city, yet it oozes authenticity and, most importantly, is a great base for all Lake Titicaca explorations. Take day trips and even overnight trips to the famous reed floating islands of the world’s highest navigable lake, and explore the least modernized corner of the country. The base from which to explore the northern tropical region in Peru, Iquitos is the largest city in this section of the Amazon, which has the dubious honor of being rated the worst in the continent due to over-logging. Nevertheless, canoe trips down the Amazon River are enjoyable and although you probably shouldn’t expect to see too much wildlife, the flora is still uniquely stunning. Iquitos is not accessible by road, but can be reached by plane from Lima and Cusco. Amazonia Adventures organize fantastic multi-day trips deep in the jungle, where you’ll get to sleep in over water lodges, zip-line your way along the canopy of the forest, take numerous walks along the forest floor and plenty of canoe trips. Although this may not be the most ‘virgin’ section of the Amazon, it still offers a superb way to disconnect from the modern world and is, without a doubt, the easiest section of tropical forest to reach. The UNESCO-listed Manú National Park is a wonderful hub of biodiversity found in the south-eastern part of Peru. This section of the Amazon covers various altitudes and due to this unique topography it includes a multitude of ecosystems, flora and fauna. This is a particularly popular destination for avid bird-lovers, with Manu being home to more bird species than are found in all of North America combined. Multi-day jungle expeditions can be organized from Cusco, and descend through cloud forests and along the mighty Madre de Dios River. 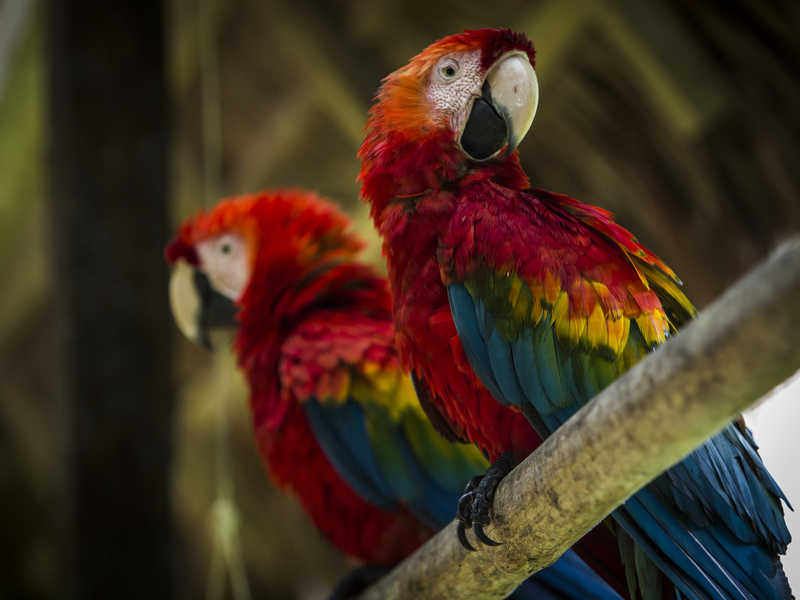 Amazon jungle lodges are used as optimal bases for explorations, with days spent trekking through the jungle and wildlife spotting (birds and monkeys primarily, although sloths, tapirs and river otters can also be seen) and evenings spent cayman-searching on long-tail boats. Peruvians are a wonderful mush of different ancestries, with Ameridian and Spanish being the prevalent ones, complemented by Italian, African, Chinese, and Japanese, among a few others. Everything about this multi-ethnicity translates into great and varied food (some of the best Chinese food you’ll ever have will be in Lima!) and an eclectic mix of cultural traditions. Like all South Americans, Peruvian are both religious and very spiritual, combining their weekly Sunday church visits with a plethora or pre-Columbian rituals like spilling food and drinks for Pachamama (Mother Earth) at the beginning of every meal, and celebrating various holidays of Inca gods throughout the year. A proud and courteous lot, Peruvians may at first appear standoffish or curt, although most of the time this is due to foreigners not understanding that good manners are essential when dealing with locals. No matter where you are, whether in a nice hotel or hole-in-the-wall shop, one must first get the pleasantries out of the way, in Spanish of course. Learn simple sentences like ‘hello/how are you/hope you’re having a nice day’ and you’ll find Peruvians to be very welcoming indeed. In touristy areas like Cusco and Arequipa you’ll encounter a multitude of unrelenting touts who will literally hound you to death to buy bracelets, sunglasses, woolen llamas etc. A blunt but polite ‘no, gracias’ (no, thank you) may not be very effective the first five times, but after that the idea should start to sink in. Being latino by nature, Peruvians are very friendly and quick to invite visitors back home to meet the family and have a meal. This is, perhaps, their most endearing aspect of all. Peru’s economy has grown from strength to strength over the last two decades, and the country has certainly come a long way from a time when it was considered one of the poorest in South America. Nowadays, it is rated better than three quarters of the world’s countries, with huge profits made in tourism, manufacturing, mining and agriculture. Unfortunately, these profits don’t really seem to be trickling down to the general populace. The economy of the country may be sturdy, yet over a third of the population still lives below the poverty line. Due to the uneven income increases, the gap between rich and poor is increasing at a steady rate. While it’s true that Peruvian cuisine is among the most varied in all of South America, it’s also true that due to the abject poverty in rural areas, it is difficult to find the variation (and quality) outside the main visited cities and towns. The most widely offered dishes in Peru and anything ham and cheese related (pastries, toasties, sandwiches) and stir fried dishes with beef, onions, eggs, all served with boiled rice and/or chips (lomo saltado). Hit one of the main tourist spots, however, and you’ll finally encounter a wealth of options. The most favored delicacies in places like Cusco and Arequipa are anticucho which are skewers of marinated beef hearts, cuy (grilled guinea pig) and papas a la huanciana (delectable potatoes served with spicy cheese, sauce, olives and boiled eggs). The moment you hit the coastal areas you’ll no doubt come across ceviche the absolute crowd-favorite and arguably the most exported Peruvian dish of all. Ceviche is lime-marinated fish and seafood, served with red onions, chili and a slice of sweet potato to counter-balance the sourness of the limes. This is the most delectable and addictive dish in the whole country. If you fancy local meals for just a dollar or two then look out for eateries advertising menu del dia, where you’ll get a three course meal of local dishes, usually including a soup, stir fry with rice, and small dessert. When it comes to drinks, Peru also offers a few unique treats. Inka Kola is the national soft drink and, although a little too sickly sweet for many foreign tastes, is absolutely revered by locals. This is the only country where a locally-made soft drink outsold Coca Cola for decades. The larger American corporation recently ended this conundrum by buying out Inka Kola. Coffee is the favored hot drink, although many times it is served with condensed milk, do ask for black if you so wish. At high altitude, coffee is swiftly replaced by coca tea, which helps ward off the effects of altitude sickness. Beer is widely produced all over the country, with local specialties like Arequipena and Cusquena being the most famous. Due to the variation in altitudes and topography, Peru boasts quite a few different climatic zones all year round. In general, most travelers choose to come between April and October, avoiding the colder and wetter months of the year. Of these, the most popular are July and August, although this is primarily due to it being the European summer vacation times. Do research weather patterns in all the places you wish to visit, as you may encounter very hot and very cold temps depending on where you wish to go. Be prepared and pack suitable clothing. And do keep in mind that you cannot possibly find the ideal weather in all the places you visit, so rest assured that the attractions will be enticing enough to make you forget all about the cold, wet, humid or blistering hot conditions. 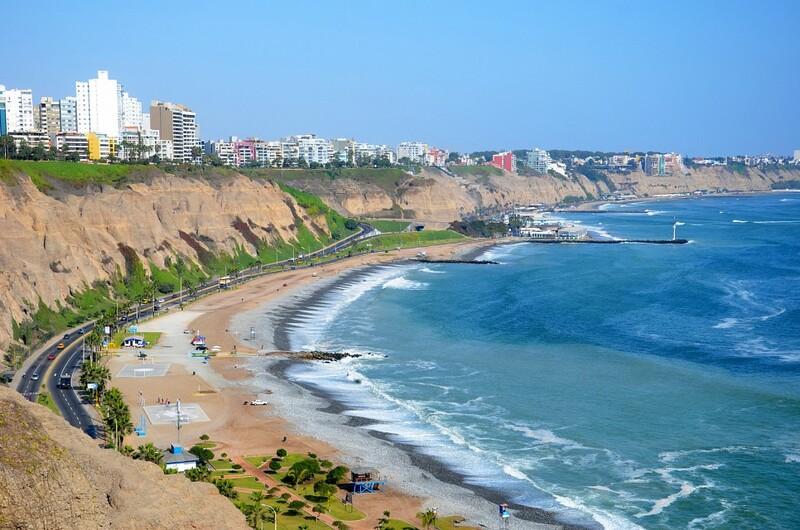 If you intend to fly into Peru, then your best bet will be to look into flights arriving in Lima’s Jorge Chávez International Airport, from where frequent and cheap connection can be found to all other major hubs in the country. Lima’s airport connect visitors to many major capitals the world over, often through direct flights. If you have time, and wish to save some cash, we recommend you not book internal flights from abroad, as tickets can be purchased for about half the price through one of Lima’s many travel agencies. Payment, however, must be made in cash. Coach services between main cities and tourist hubs abound, and these are the most recommended travel options for foreigners. Although local public bus services also abound, they are about the most dangerous form of transport in the whole continent. Buses are old, decrepit and driven by overworked drivers high on drugs, making a treacherous crossing of mountains along the Lima to Puno route almost suicidal. Bus accidents along all stretches are a daily occurrence, so pay a little more for a comfortable and much safer coach-ride with one of the international companies instead. Once in a city, taking taxis and collectivos is easy enough, as both are cheap and plentiful. The relatively new Peru Hop-on/hop-off buses have revolutionized travel from Lima to the southern tourist hubs, including the Huacahina oasis, Nazca, Arequipa, Puno (For Lake Titicaca) and, finally, Cusco. The brainchild of a group of backpackers who saw a gap in the market for a convenient, and most importantly safe way to get around along the country's most famous tourist trail, this service is brilliant if you are short on time and don't want to waste hours finding bus tickets at every stop. Passes are valid for a year and cost between $ 159 USD and $ 199 USD , so it's definitely not the cheapest way to get around but if speed and convenience are your main priority, then it will be well worth your money. The real fun thing about this option is that the buses make random stops at viewing platform and even special food stalls along the way, making it an incredible compromise between the convenience and safety of a fully guided tour, combined with the independence of self-guided travel. The humble potato, one of the world’s most consumed starches, was initially harvested here and was introduced to Europe by Spaniards who returned to their homeland from Peru. Over 4,000 different types of potatoes grow in the Andean highlands. Peru also grows over 50 different types of corn. This is their other favorite staple. It also grows over 1600 different types of orchids. Peru is the second-largest producer of cocaine. 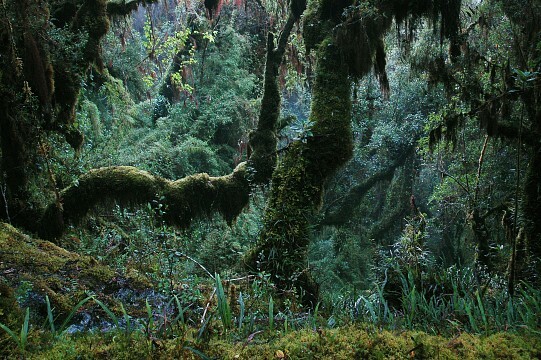 60% of the country is comprised of Amazon rainforest. The coastal towns of Mancora and Chicama are known in surfing circuits, for having some of the largest waves and point-breaks in the world. Many of the world’s top surfers spend months at a time here, due to the excellent surfing conditions, lack of crowds and affordable life. Peru is a hive of mineral deposits, and is the third-largest producer of copper in the world, fifth-largest for gold, first for silver and third for zinc. 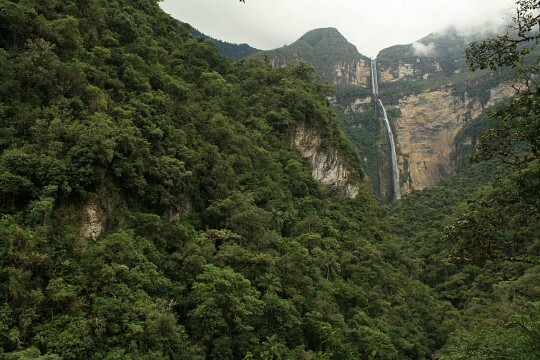 Due to its high mountains, deep tropical forests and extensive stretches of coastline, Peru is one of the world’s top 10 most bio-diverse countries, holding 10% of the planet’s plant species. It boasts 28 different climatic zones. Over half the population lives below the poverty line and unemployment is so strife that it can’t be accurately measured. The Artesonraju Mountain is claimed by some to be the Paramount Pictures logo mountain.